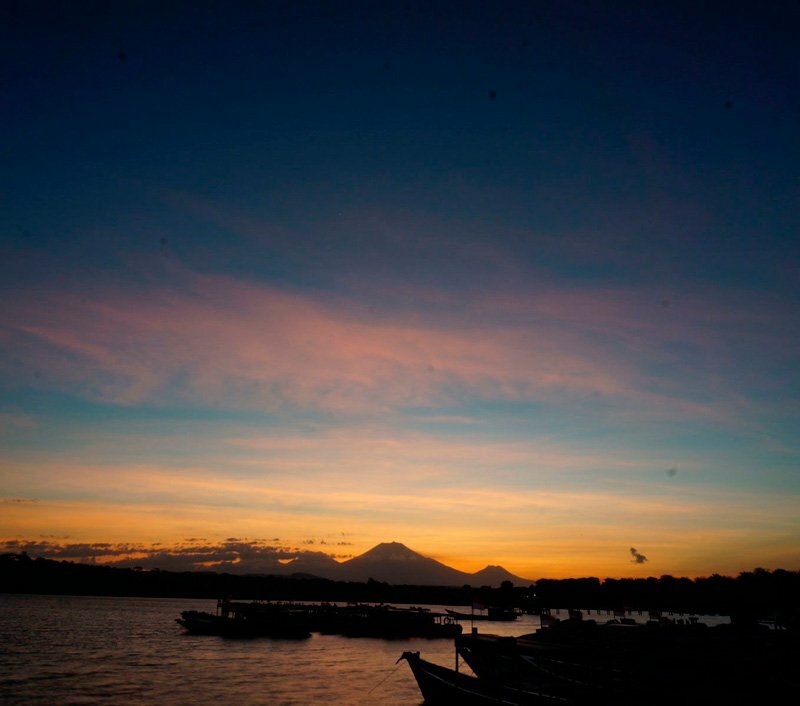 Menjangan Island is famous for having Bali’s most beautiful wall-diving. 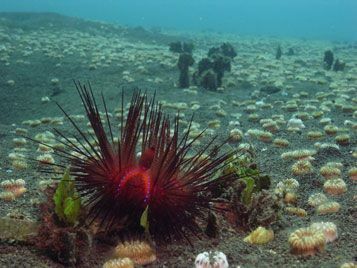 The underwater topography depends on the exact dive site but most of them start on the island shelf where we tie to a mooring. 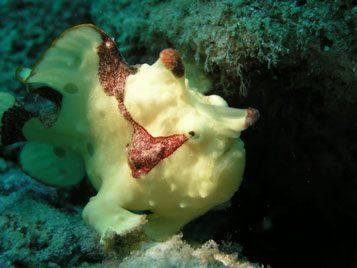 We will start the dive on the shelf at about 5 meters which is also a great place for snorkeling. This shelf extend out from the island for about 200 meters, then begins to descend at various angles. For the most part the North East of the island gently slopes down to about 40 meters, and the South West features a much more dramatic wall dropping to more than 50 meters. 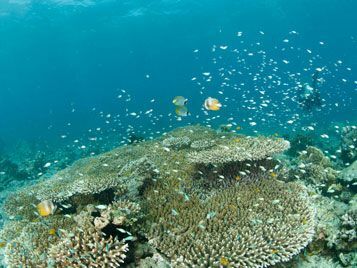 Conditions at Menjangan Island tend to be very gentle with visibility getting up to 40 meters at certain times of the year. 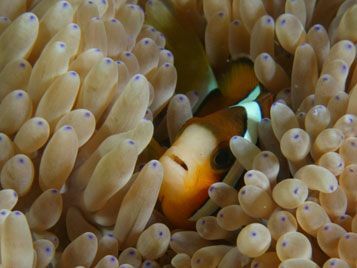 The reef scenery, coupled with the marine life is perfect for those wanting to get photos. 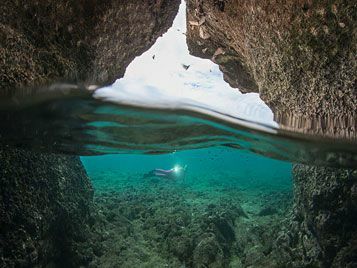 The dramatic backdrop of the walls and abundance of fish life makes is easy for photographers to get that perfect shot. It is unusual to see many large pelagics in this area due to the island being protected from the cold currents coming in from the sea. Although whale sharks are occasionally spotted and even a sperm whale was seen here this year. 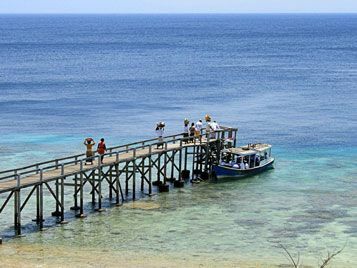 This is located at the most western point of Menjangan Island. To navigate, we usually start on the North wall and drift along the west coast to end up in the channel between the mainland of Bali and the island of Menjangan. 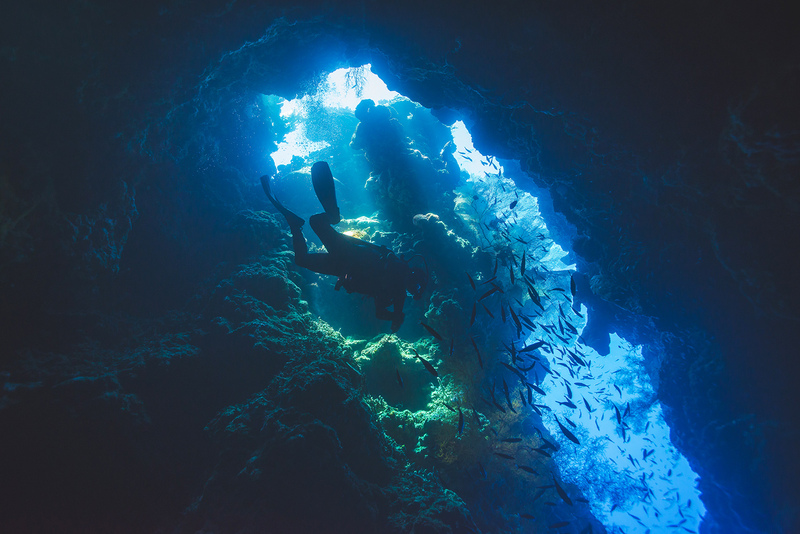 There can be some current at this dive site and so we recommend that divers with little experience start at some of the other beautiful sites around the island. 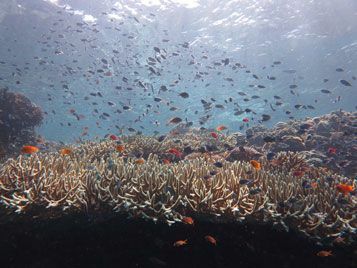 Due to this current this site has fantastic diversity of fish and coral. Good to snorkel as well, this dive site is situated next to the most beautiful virgin beach of the island. 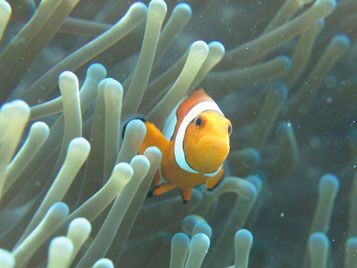 This dive site is a must during your stay in West Bali National Park. 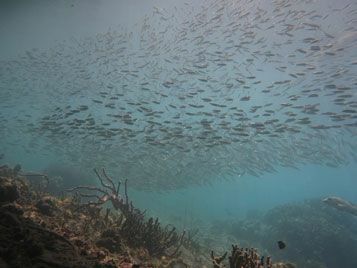 Another famous dive site of Menjangan Island is called Kapal Budak, which means Anchor Wreck in Bahasa. 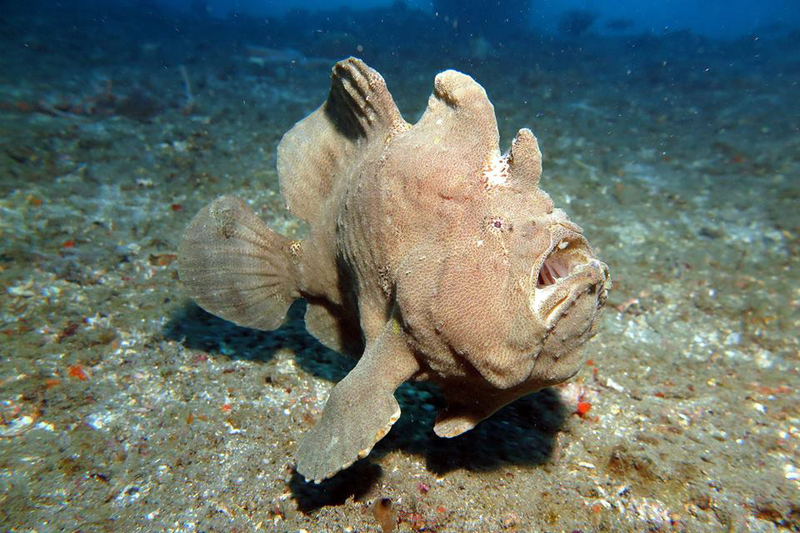 It got its name from the large anchor that lies at about 6 meters. At about 33 meters, lies some pieces of a large wooden cargo boat built 150 years ago. Nobody knows the name of the shipwreck or why it is laying on the bottom of this gigantic wall. Some of the remains are still underwater but a lot of them have been taken out by divers. 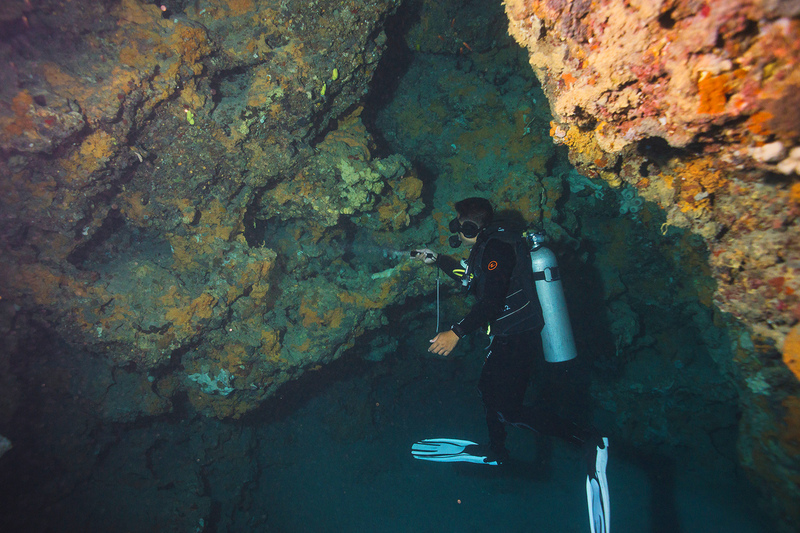 This dive sites is actually not renown for the wreck itself, but more for the diversity of the impressive wall. 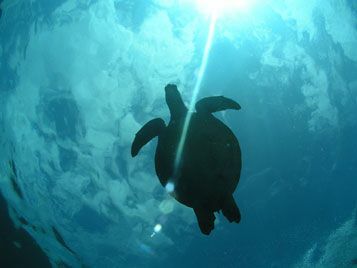 There is a good chance to see Green Turtles at this dive site. Sandy slopes is easy to notice from the boat. 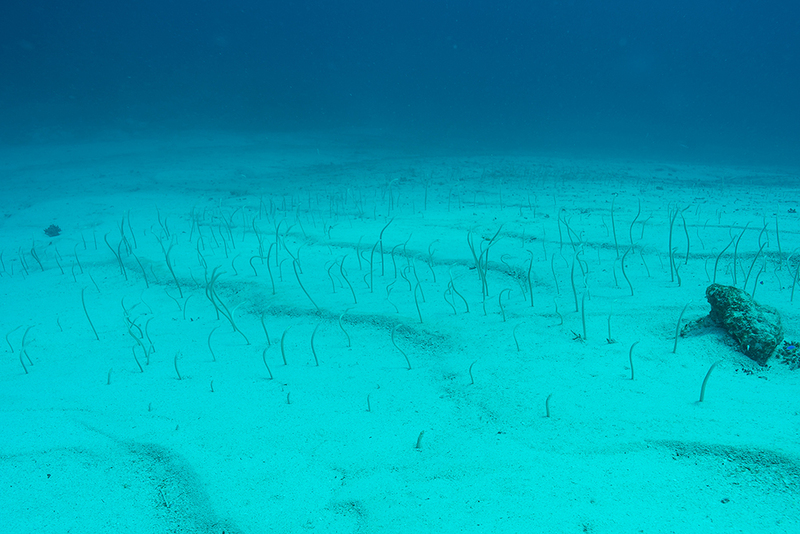 At an average depths of 4 meters you have a giant sandy playground. Ideal to encounter numerous flounders and eel gardens. 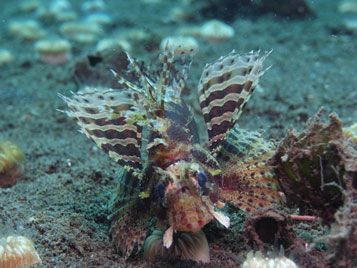 Usually without current and amazing visibility, this dive sites give us the best conditions to make all new divers fall in love with scuba diving. 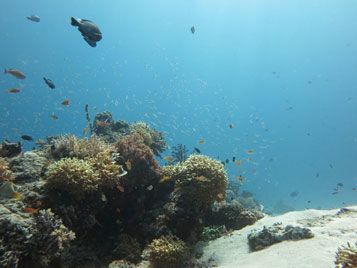 Meters away from the sandy area, a slope descends to about 30 meters, which allows us to explore beautiful corals after exploring the shallow area. 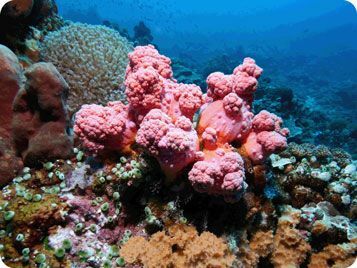 A wonderful underwater garden with numerous varieties of hard and soft corals. 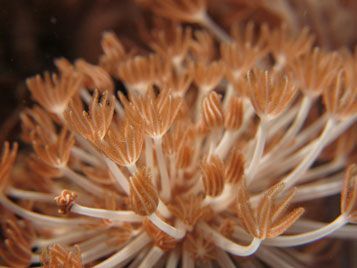 Divers of all levels are always amazed by the diversity of corals and the health of this reef that lays at 5 meters deep before the wall starts. 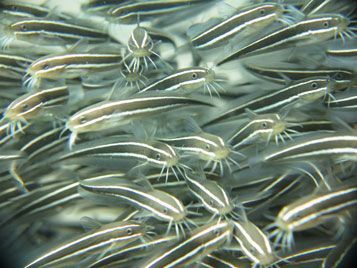 We notice a lot of cleaning fish in this area, which makes it definitely one of our favourites to observe different fish behaviours. 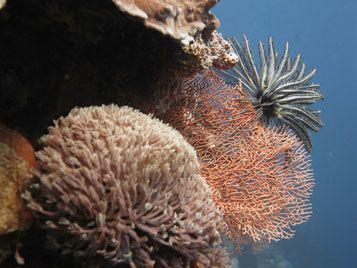 Ignoring the underwater world, these 2 dives sites have the best landscapes on all of Menjangan island. Temple Point starts at the feet of a huge Ganesh statue on top a cliff, while Bat Cave is near the entrance of a few shallow caves filled with hundreds of resting bats. 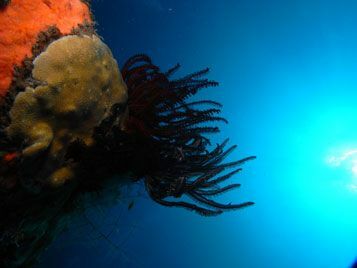 Due to the current at theses sites, both dive sites can normally be covered during one dive, a beautiful, gentle drift dive. Very occasionally, you can also be lucky enough to see whale sharks around. 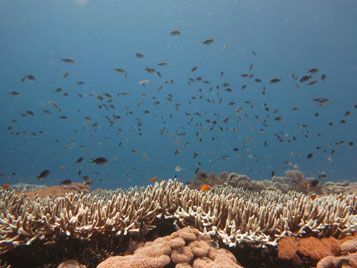 POS II is the most popular dive site on Menjangan Island as it is the closest to Bali mainland. 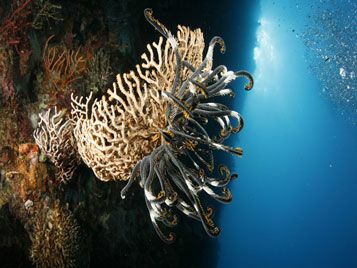 It features some of the most dramatic walls as well as your best chance to see a pygmy seahorse on gorgonian sea fans! 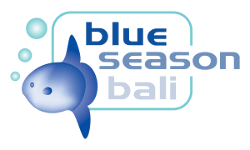 This site offers fantastic conditions for our PADI Open Water Diver students as well as any students who wish to participate in a try diving experience at Menjangan Island. Please do note that single diver supplements may apply if there is only one person on the dive trip. 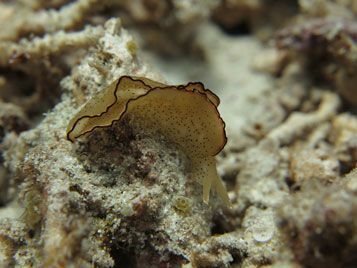 The single diver supplement for Menjangan Dives is IDR 400.000 per person. We will not charge this fee should there be another snorkeler or diver sharing the boat with you. What's next? 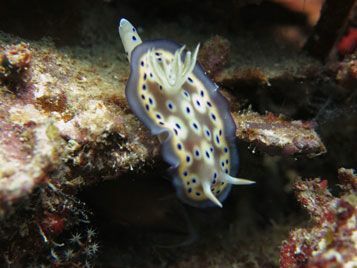 Check out more great scuba diving in Bajul Bay!